It’s time for ‘Japan by Prefecture‘ again! This is the series that aims to provide the highlights of each prefecture of Japan, along with my personal favourites and suggestions from readers. This week, we’re looking at Iwate Prefecture (岩手県) (a little earlier than usual as I have a busy weekend ahead!). 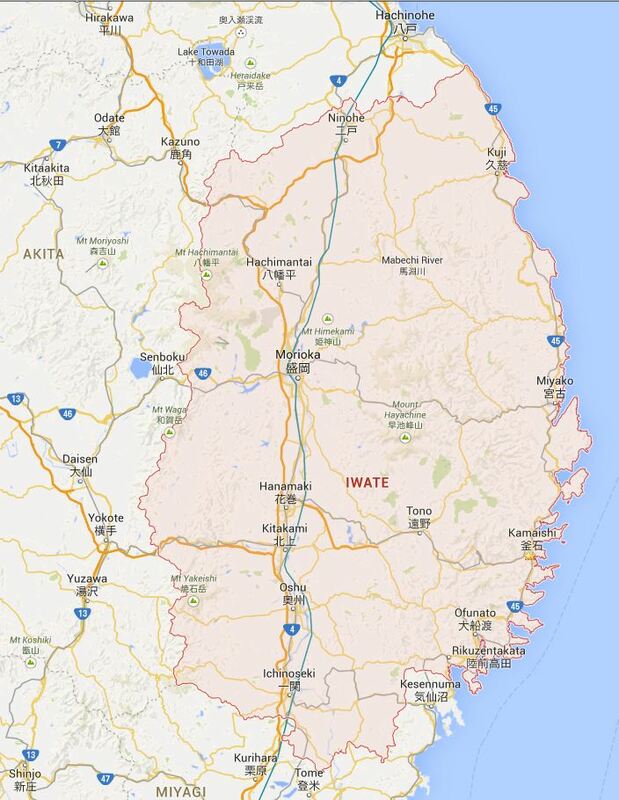 Iwate Prefecture is part of the Tohoku region (東北地方) in northern Honshu, and its capital city is Morioka (盛岡). Iwate is made up of 14 cities in total, including Ichinoseki (一関), Kamaishi (釜石), Rikuzentakata (陸前高田), Ofunato (大船渡) and Tono (遠野). Iwate’s most famous town is probably Hiraizumi (平泉) which is noted for the ‘Historic Monuments and Sites of Hiraizumi’ which achieved UNESCO World Heritage Site status in 2011. I visited Iwate Prefecture last year and was lucky enough to visit Hiraizumi (see Japan 2014: Hiraizumi). 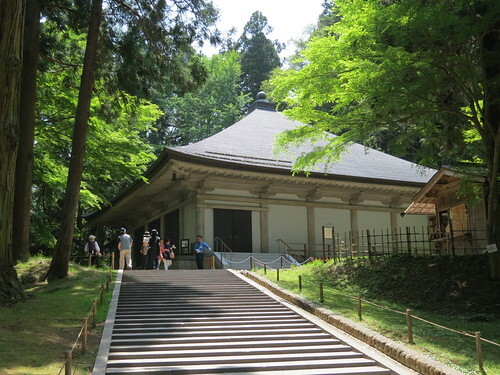 Hiraizumi is Tohoku’s former cultural and political capital, and I think it’s like the Kyoto of Tohoku. Zooming Japan also agreed that Hiraizumi is the most popular tourist spot in Iwate Prefecture and definitely a highlight. Another Iwate highlight mentioned by Zooming Japan is in Morioka (盛岡), and that’s the Morioka Castle ruins. I haven’t been to Morioka yet, but from what I’ve seen it does look quite nice. 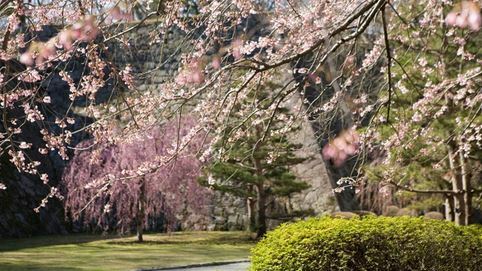 All that’s left of the castle now are some stone walls, but there are about 200 cherry trees planted in the park there, so it must be lovely in spring. Morioka is also famous for the ‘Three Great Noodles of Morioka’, which are Wanko Soba, Reimen and Jajamen. The most famous of these is the amusingly named Wanko Soba (わんこそば). Each serving contains just a mouthful of soba noodles, and the server continues to top up the customer’s bowl until they cannot eat any more. The first bowl is usually eaten plain, and toppings can be added to bowls after that. 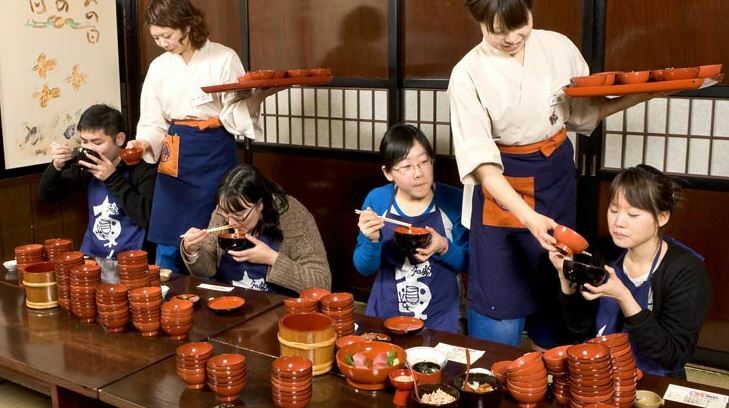 According to Japan Guide the average for women is about 30-40 bowls, while men average about 50-60 bowls. How many do you think you could eat? I doubt I’d make it past 15! 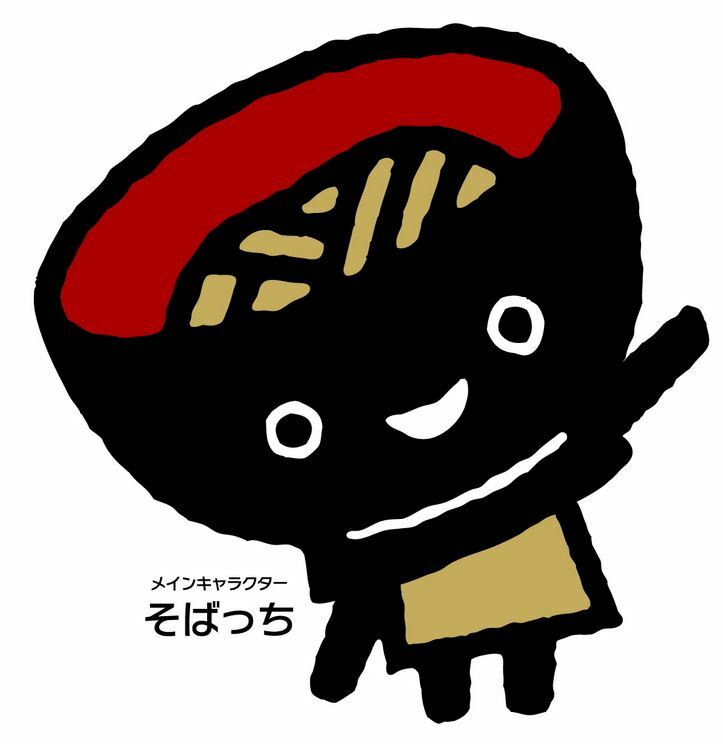 Actually, Wanko Soba is so popular in Iwate that it forms the mascot for the region, known as ‘Sobacchi’ (そばっち). When I was in Iwate Prefecture last year I visited two places which are less well-known but still absolutely worth a mention: Kamaishi (釜石) (see here and here) and Tono (遠野) (see here and here). Kamaishi is on the Sanriku Coast (三陸海岸); a beautiful part of Japan which was tragically hit by the Tohoku earthquake and tsunami in 2011. 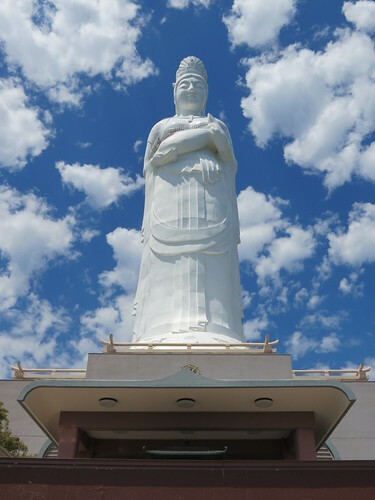 It’s an industrial fishing town which features a large Kannon statue called the Kamaishi Daikannon. Tono is a magical place known for its folklore and monsters. 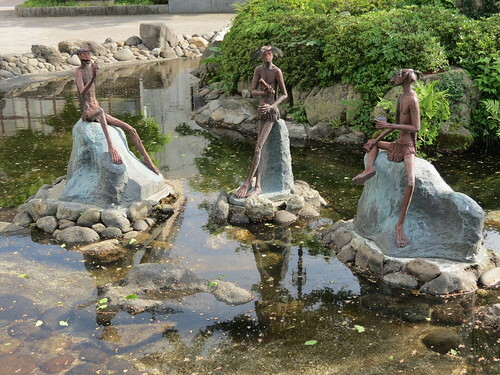 Tono is particularly famous for ‘kappa’ (河童), which are water sprites. Tono wouldn’t be on many tourist trails, but I absolutely loved it! It’s a small town with a very small town feel, but absolutely fascinating in its quirkiness. Japan Australia also commented on last week’s post and introduced me to a part of Iwate I was less familiar with: Hachimantai (八幡平). Hachimantai is a mountainous region which actually crosses both Iwate and Akita prefectures, and it is famous for its onsen (hot spring) towns. The town I am most familiar with is the beautiful and rustic Nyuto Onsen (乳頭温泉), which is actually in Akita Prefecture (so we might come back to this in a couple of weeks!). 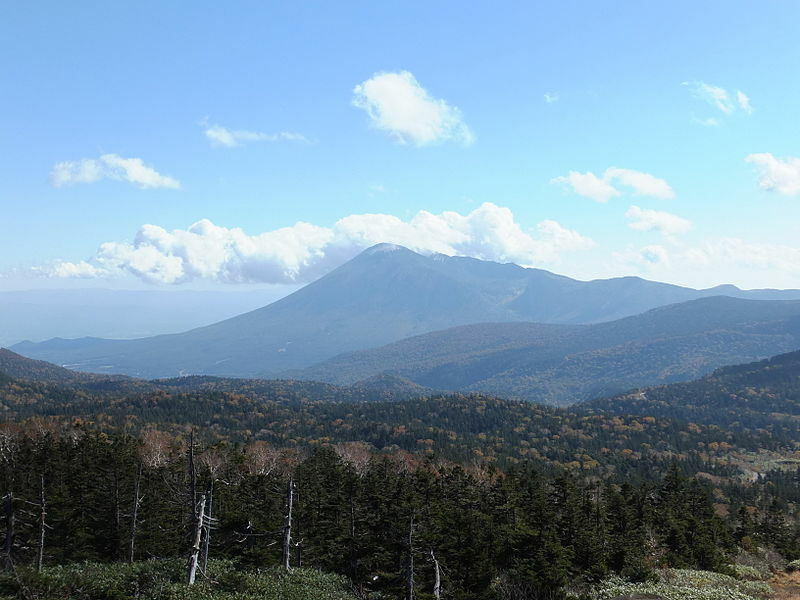 Mount Hachimantai is the third highest mountain in the Towada-Hachimantai National Park (十和田八幡平国立公園) after Mount Iwate and Mount Akita-Komagatake. The national park crosses Aomori, Akita and Iwate prefectures, and I have already mentioned it in last week’s post on Aomori Prefecture. It’s a great place to go for autumn colours! 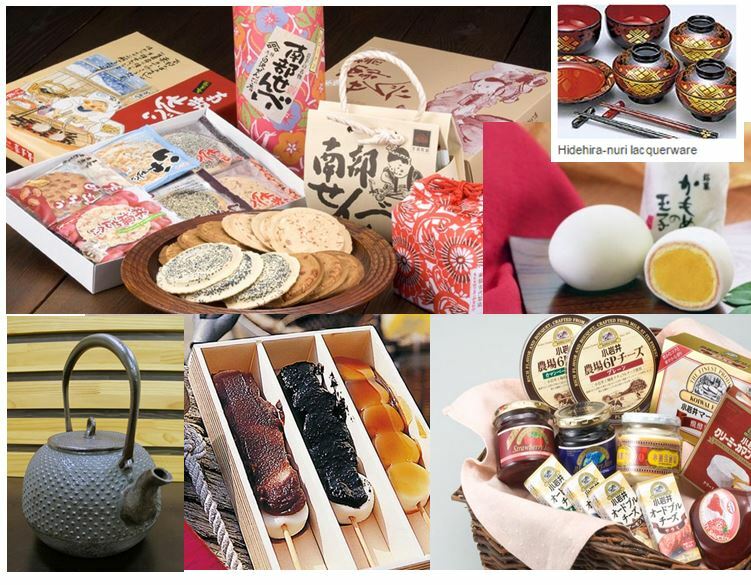 Iwate Prefecture’s famous souvenirs (or ‘omiyage’ / おみやげ) include Nambu Sembei rice crackers (top left), Koiwai dairy products (bottom right), Kakko Dango from Ichinoseki City (bottom centre), ironware from Morioka (bottom left), lacquerware from Hiraizumi and other areas (top right) and Kamome no Tamago (lit. sea gull’s egg) (right middle). Kamome no Tamago is an egg-shaped sweet made from white bean paste and covered in white chocolate – it looks really yummy! Next week I will be writing about Miyagi (宮城県). Have you been there? What’s good to eat there and what omiyage should I buy? What are the best sightseeing spots or hidden gems? Please do share your thoughts below, and join me next week for Japan by Prefecture! We only spent a few days in Sendai this past summer but I absolutely LOVED seeing the Tanabata festival there. I know it’s one of Tohoku’s Top 3 festivals and I thought it was just gorgeous and worth the hype. It’s still a sobering drive out the coast through Ishinomaki which was nearly wiped off the map a few years ago but if you go a bit past the town, you’ll stumble across a replica of the ship the Sant Juan Bautista, which carried samurai from the Sendai area to Mexico and on to Rome in 1613 in hopes of establishing political and trade ties with Catholic powers. It’s an incident in Japanese history I was totally unaware of and the site is really well done. Thanks for your comments and suggestions for Miyagi! The Tanabata Festival is definitely worth visiting! The replica ship you mentioned certainly sounds very interesting – not something I had heard of before. Sendai, which is a great starting point to explore the region. Matsushima, which is a scenic bay dotted by pine clad inlets, it is considered to be one of the 3 most beautiful spots in Japan. Naruko Gorge is also a great spot and famous for its Autumn colours. Must Try Food ~ Gyu-tan, which is grilled slices of cow tongue with salt or miso. Hmm, my comment from yesterday wouldn’t post. Anyway, here’s what I thought of Miyagi. Sendai itself wasn’t too intriguing to me but I LOVED being there for Tanabata. The festival is one of Tohoku’s Top 3 and is stunning with all of its colorful streamers. We also drove out the coast, through Matsushima and past Ishinomaki. It’s depressing – they’re still doing a lot of cleanup from 2011 and so much work needs to be done yet. But if you keep going along the coast, eventually you come to the Sant Juan Bautista, a replica of a ship from 1613 that carried samurai commissioned by Sendai warlord Date Masamune to make contact and secure trade details with Mexico and Europe. I had no idea about this incident in Japanese history and the exhibit was pretty cool. Now if only Miyagi in general had been “cool” … the heat was insane this past August! No worries! I just didn’t see the “awaiting moderation” thing so I wasn’t sure it went through. Eager to see the Akita write-up next. Hoping to head up there this summer! I haven’t been to iwate yet, but I have tried Kamome no Tamago and they are delicious! In Miyagi you must try Gyu-tan which is great. I really enjoyed visiting Kessenuma for there half marathon back in 07 or so and I would love to go back. I am also a big fan of 東北学院大学 as it was founder by my distant relations! 東北学院大学 was founded by your distant relatives? That’s pretty cool!